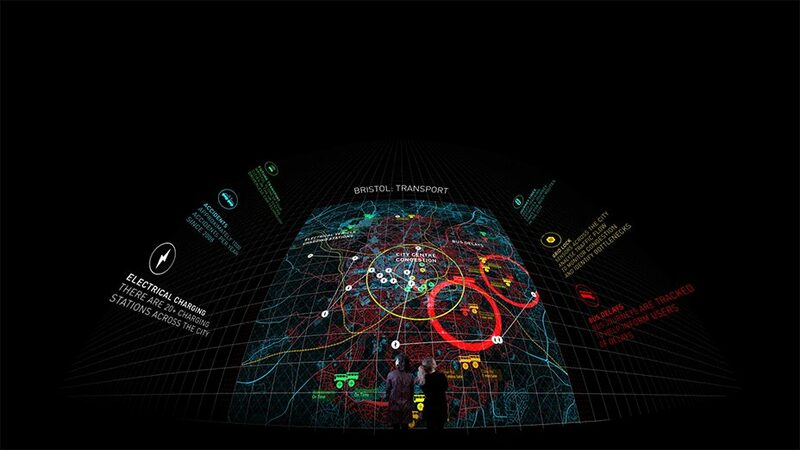 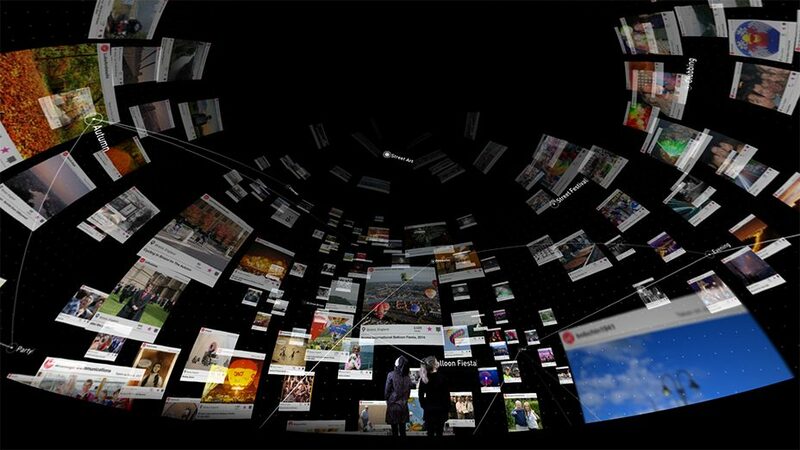 Bristol Data Dome is the UK’s first full dome planetarium adapted for the presentation of media and live data. 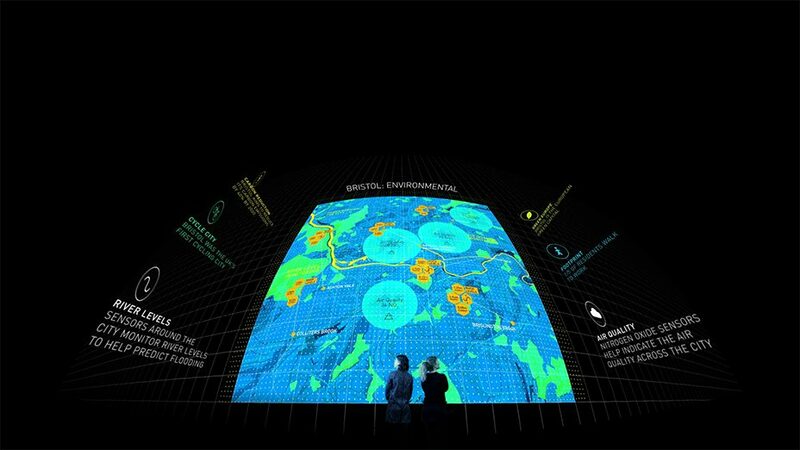 As part of the Bristol is Open project, the dome is intended to be used for visualising complex experiments, creating interactive virtual reality environments and providing individual audience members with their own unique viewpoint. 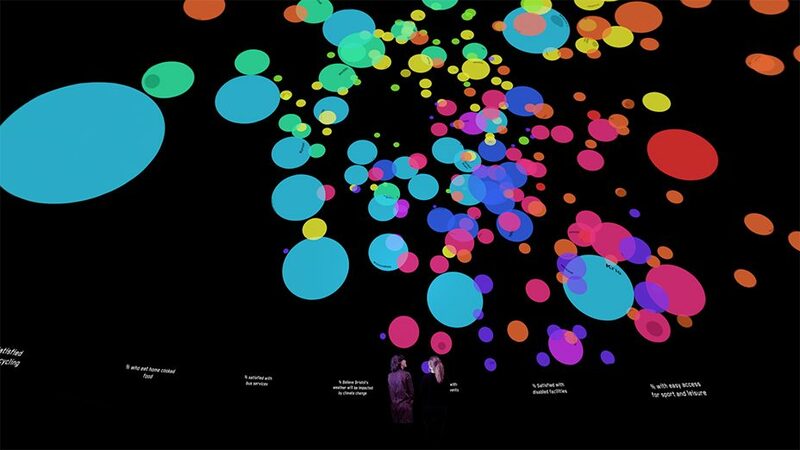 We were commissioned by Future Cities Catapult (the government agency for the use of public data) to create the launch content and media workflow demonstrations to showcase the potential of the space. 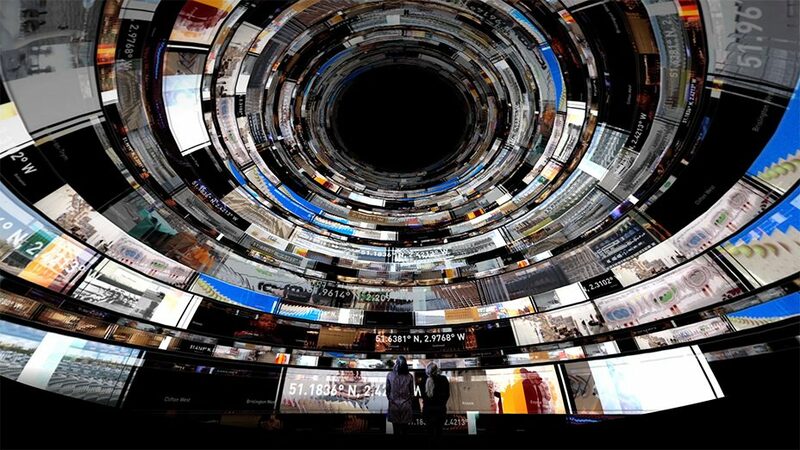 Two experiences were created - the first a linear film that introduced data and the city to a general audience. 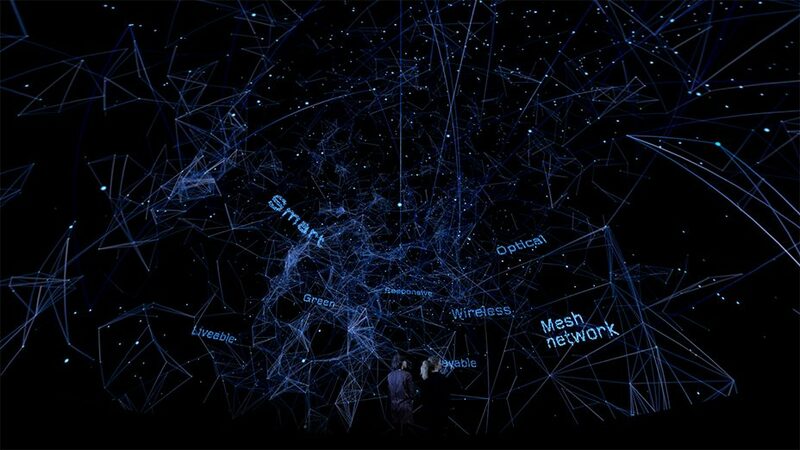 The other uses a games engine and the same data sets to create a 3D model of the city with geo-mapped data that users can explore in realtime, triggering animations and pulling in live data as they go.